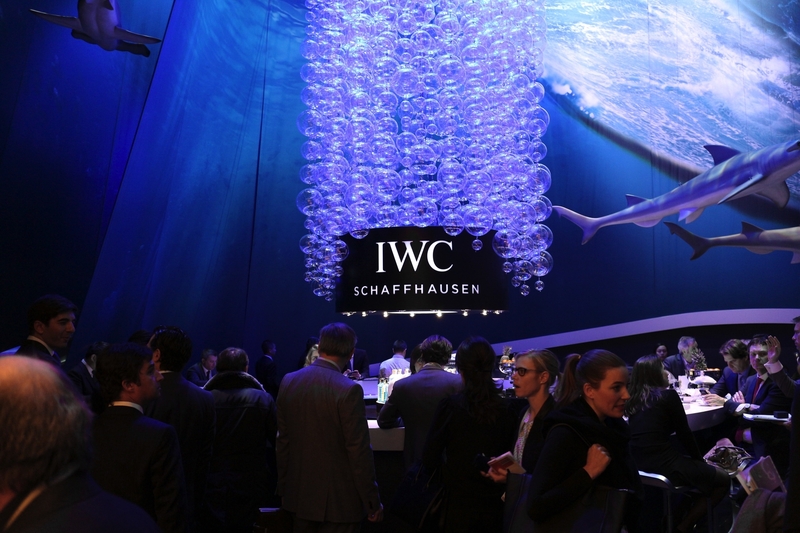 This year at SIHH, IWC debuted a completely redesigned Aquatimer collection. The Aquatimer is the brand’s dive watch line that originally dates back to 1967. In addition to meeting all of the ISO 6425 dive watch requirements, two features which set the 2014 Aquatimers apart from other dive watches, are its new patented bracelet quick-change system and new internal/external dive bezel with sliding clutch. 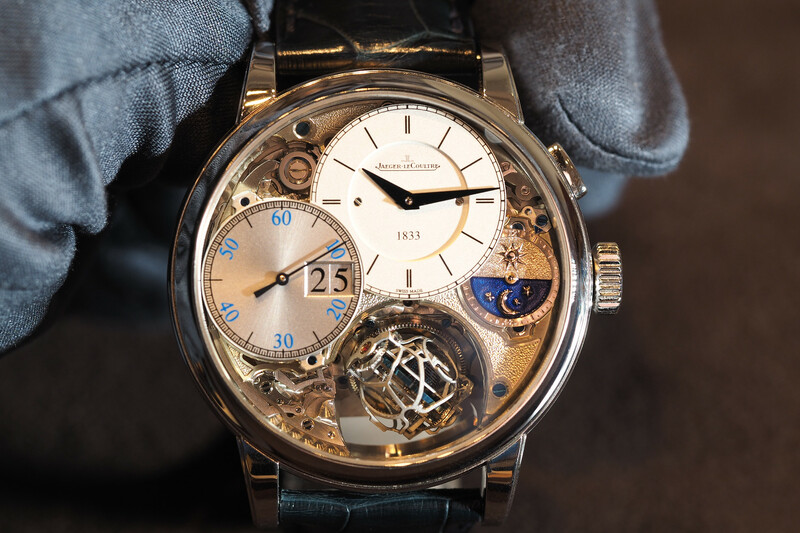 Each year, IWC Schaffhausen, one of the powerhouse brands within the Richemont group, creates an incredible SIHH booth to highlight their newest watches, typically focusing exclusively on one new collection. This being the year of the Aquatimer, naturally, there was an underwater theme — which included beautiful scenes from the Galapagos Island as the backdrop. To help preserve the fragile ecosystem of the Galapagos Islands, IWC supports and sponsors the Charles Darwin Foundation and its research organization, which adopts a scientific approach to the challenges on the Galapagos. Furthermore, IWC also supports the Cousteau Society, which dedicates itself to continuing the research work of Jacques Cousteau (1910–1997) and the preservation of the world’s seas. IWC is also launching four special editions in support of the work of the Charles Darwin Foundation and the Cousteau Society. The new Safe Dive external/internal rotating bezel rotates in steps of one minute and has the advantage of not being exposed to elements such as dirt or salt water, yet it is still controlled by an outside bezel, like on the majority of dive watches. A sliding clutch system connects the two bezel rings by the rotation of the external bezel being transmitted to the inside of the case and the internal bezel. 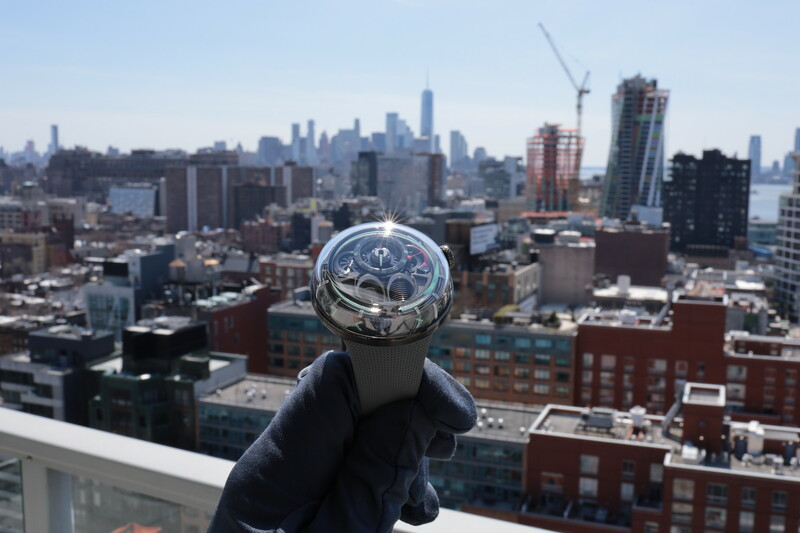 For safety reasons, the internal bezel only moves counter-clockwise. When you rotate the outside bezel counter-clockwise, the inside bezel moves counter-clockwise, in unison. However, when you rotate the outside bezel clockwise, the inside bezel does not move, which is a safety measure to make sure that the internal bezel cannot be moved backwards during a dive. On each Aquatimer, the bracelet is attached to the locking bar from above and locks into place audibly. To release it, the locking lever is pressed outward with the thumb and the bracelet pushed upward to disengage it. This patented quick-change system allows the wearer to effortlessly change between a rubber and steel strap, for example, without a tool. In total, fifteen new Aquatimer references were launched at SIHH 2014. Below, we give you a basic breakdown of each. In support the Charles Darwin Foundation and the Cousteau Society, IWC created four limited edition models. The Aquatimer Chronograph Edition “50 Years Science for Galapagos” $11,200 (Ref. IW379504) in a black rubber coated stainless steel case, the Aquatimer Chronograph Edition “Galapagos Islands” $11,100 (Ref. IW379502) in a black rubber coated stainless steel case, the Aquatimer Chronograph Edition “Expedition Charles Darwin” $11,100 (Ref. IW379503) in a bronze case and the Aquatimer Chronograph Edition “Expedition Jacques- Yves Cousteau” in stainless steel. $7,200 (Ref. IW376805). All four limited editions measure 44 mm x 17 mm. The Aquatimer Chronographs come in a 44 mm x 17 mm stainless steel cases and are water-resistant to 300 meters. 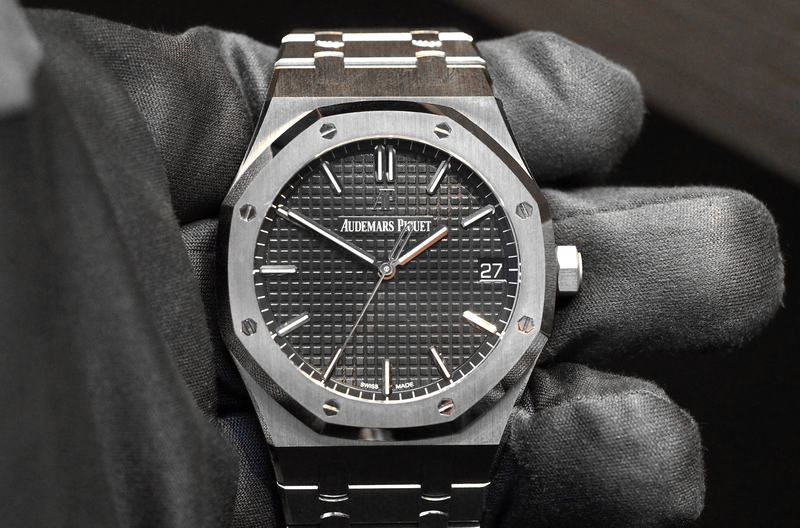 $7,000 with a rubber strap, $8,000 with a steel bracelet. (Refs. IW376801/IW376802/IW376803/IW376804). In summary, the 2014 IWC Aquatimer collection, with its new styling, slick Safe Dive internal/external dive bezel, and innovative tool-less strap change system — emerges as an excellent choice for anyone looking for a reliable and distinctive Swiss made dive watch.